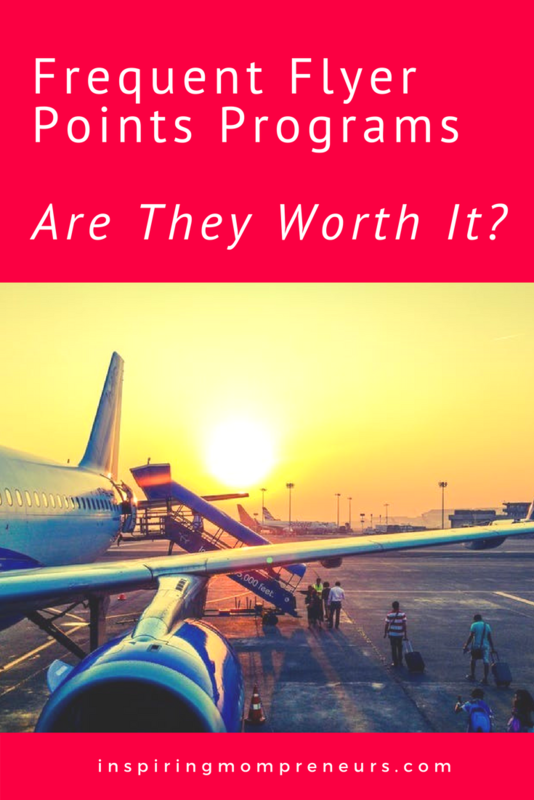 Frequent Flyer Points Programs – Are They Worth It? Are frequent flyer miles worth it? Oh, absolutely! Well, I’ve heard from Frequent Flyers they are, anyway. Me, I haven’t been on a flight to anywhere in years. Not since I had my son. And a good few years before I had my son too. In fact, it’s been aaaages since I jetted across the world. Because it’s got uber expensive and pretty tricky for South Africans to travel abroad. One thing I can tell you for sure, my son can’t wait for his first flight. Anyone have any frequent flyer points to send our way? Hehe. Only kidding. 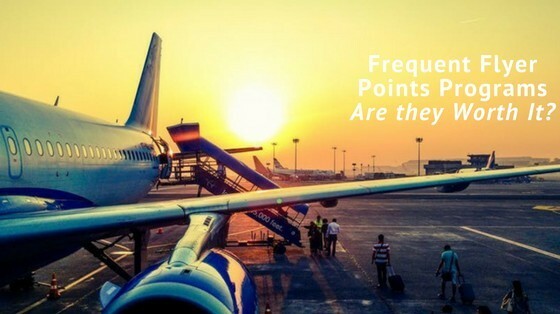 If you’re thinking of signing up for a Frequent Flyer Points Program, or just wondering how to maximise yours, you’ll enjoy the guest post below. Have you ever wondered if your purchase or flight gets you a step closer to your most awaited trip? When you make the most of frequent flyer program, this becomes your reality! With the growing trend and popularity of flyer programs all over the world, there are numerous flyer programs that one can sign up for. Not to mention, a frequent flyer program is all about getting rewards for travelling or spending money with a specific airline or maybe its partners. You get miles or points for your eligible spending and flights. You can redeem these rewards for upgrades, flights or other rewards. Different flyer programs offer different kinds of rewards. However, if you are smart enough to sign up multiple and frequent reward programs, you can also use a single platform. When you get your flyer programs from a single platform, you can easily keep track of your points as well as redemption. To get this benefit and to manage your multiple flyer programs you can get the services of www.pointsbank.com.au. Are you one who loves collecting multiple and frequent flyer points? For many people, it is the thrill of the chase. They continue to snaffle a few additional points every other day, fulfilling the dream to earn enough score to get a free holiday. But are these efforts worth it? Well for travellers it certainly does! Not just to sign up for a frequent flyer program but signing up to as many frequent flyer programs as possible. Here are the benefits that come with multiple flyer programs. When you sign up for multiple flyer programs, it helps you make the most of different reward points programs offered by different airlines and use it for your own advantage. Regardless if you are looking for elite or flight status, the only way to get there is by racking up the miles using frequent and multiple flyer programs. Pick the airlines or rewards programs that best fit your travel plans, especially when you are a frequent traveller. While one airline may give you reward for travelling only, there are many flyer programs that offer points when you use other affiliated services. For instance, while you travel to Australia using one flyer program, you can use the membership of another flyer program by tying up your credit card with any retail partner or hotel that would help you earn extra miles without even stepping onto the airline. Nonetheless, earning rewards points is just one side of the story. How you redeem these points can make or break your experience with frequent flyer programs. For instance, when you get multiple frequent flyer programs membership you can use them to seat upgrades, gift vouchers or products or get better flights. However, if your main purpose is to earn status and to climb the status ladder easily while enjoying multiple perks offered by top-tier airline status, then using multiple frequent flyer programs is definitely the best choice to go for! Eva Davies is a writer and a marketer for Full Steam Australia. If she’s not working, she spends time with her family and by writing poems and taking film photographs. Where’s the most exotic place you’ve ever visited using your Frequent Flyer Miles? Are you making the best use of your Frequent Flyer Miles? Or are you still toying with the idea of signing up for a points program? Keen to hear your thoughts below. Thanks for sharing this. I’ve always been a little curious about frequent flyer miles and never looked into it. It sounds like its really worth doing. I love to travel and this can help me and my family go places we’ve never seen before. I will be signing up for as many of these programs as I can find. Aah, wonderful! Enjoy clocking up those frequent flyer miles. Just yesterday, a close friend of mine asked if it’s worth getting a frequent flyer card. I will send her your post to answer her question. I guess for frugal travellers like me, a frequent flyer program won’t work? I try to get the best deals from Priceline, Expedia and Kayak and since they go through these middlemen, do you think they can be credited as frequent flyer miles? I travel about 3 times a year but I am not in any frequent flyer programs. I was always worried about blackout dates. What are your thoughts about this? Hi Gigi, Thanks so much for your interesting comment. I will ask Eva to respond to your question.